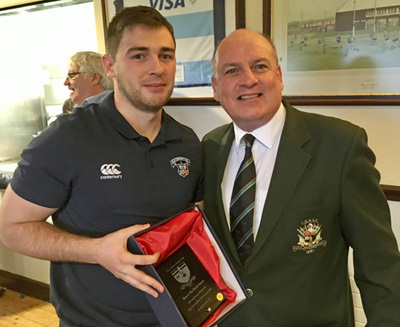 Ronan McKenna receives his Man of the Match Award from Sean O’Kane, President, City of Derry RFC after our 54-21 win over the Derry side last Saturday. Well done, Ronan! 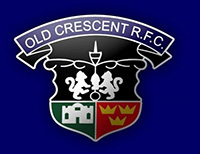 Old Crescent made the longest away trip of the season last weekend when we travelled to Derry to take on City of Derry RFC. 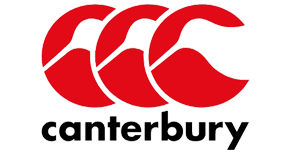 Crescent travelled with confidence, being unbeaten after four rounds of the Ulster Bank League and taking on a team yet to win a game. The game started with Old Crescent well on top as we attacked the Derry line with 5mtr scrums and penalties kicked to touch we camped inside the home 22. The Derry defence held out and they broke up the field and nearly scored but for superb covering back by our backs who stopped them just short of the Crescent line. We turned over possession and kicked down field into their 22. Cian Raele blocked down an attempted clearance, managed to collect the ball, and passed to Gary Fitzgerald who ran in for a try. Ronan McKenna added the conversion and we were 7pts to nil in front after 14 minutes of play. Derry missed a 40-meter penalty attempt on twenty minutes. Old Crescent scored two quick tries on twenty-three and twenty-seven minutes to take control of the game. Brian Touhy got the first after some neat interplay between our back and forwards and Ronan converted. Shortly afterwards, outhalf Ronan McKenna kicked a beautiful cross field kick into the Derry 22 which was collected by our Captain Darragh O’Brien who then passed to Jack O’Neill and he barged over the line for our third try. Ronan was narrowly wide with the conversion but we now led by 19 points to nil after 30 minutes. Derry got themselves back into the game a few minutes later when they scored a try which they converted. Old Crescent finished off the first half with our fourth bonus point try on thirty-five minutes when Larry Hanly touched down, Ronan added the extras for a half time lead of 26pts to 7pts for Old Crescent. The early stages of the second half were evenly contested but Crescent put the game to bed with three tries within a ten minute period early in the half. Larry Hanly got in for his second try on forty-seven minutes, then winger Val McDermott touched down three minutes later, and the best try of the game came on fifty five minutes as Val McDermott produced a magical break before passing to Ronan McKenna who touched down beside the posts, and with Ronan kicking three conversions Old Crescent had an unassailable lead of 47pts to 7pts midway through the second half. Derry to their credit never gave up and they were rewarded when they touched down for their second try which they converted to bring the score to 47pts to 14pts. However, shortly afterwards, Crescent were on the offensive again when Larry Hanly did the spadework to setup Brian Touhy for his second try, and our eighth, which Ronan converted to take the score to 54 points to 14. Derry’s woe’s continued and they had a man yellow carded with ten minutes remaining. However, they kept at it and did get in for a consolation third try in the last five minutes. Derry added the conversion to leave the final score, City of Derry 21 Old Crescent 54. It was a very satisfying and comprehensive victory on the road and, having played five and won five, confirmed our position at the top of the table in UBL Division 2B. Our Thirds were also in action last Saturday when they took on Ennis away in a Gleeson League fixture. Crescent emerged comfortable winners by 31 points to nil. 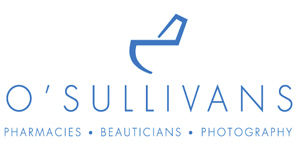 Crescent scorers were David Hurley (2 tries), Simon Ryan (2 tries), and Peter Connolly (1 try and 3 conversions). Next up for our Senior team is a ‘top of the table’ clash with Skerries RFC, bringing together the first and second teams in our Division, in Rosbrien at 2.30pm next Saturday. Our Thirds are in action on Friday evening next at 7.30pm in Rosbrien when they take on Garryowen, and our Seconds play the same opposition at 2.30pm also in Rosbrien on Sunday. Come out to Rosbrien over the weekend and support your teams! 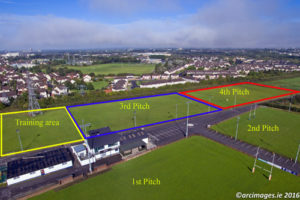 We extend a special invitation to Crescent Past Pupil Union members, who are visiting Limerick for their Annual Dinner next Saturday evening, to visit Rosbrien and see for your selves the exciting brand of rugby being played by our players and the fabulous facilities we now have in place in Rosbrien. If you would like to attend our Pre-Match lunch next Saturday give Eddie Frost 087 6187832 or Don O’Malley 087 2596886 a call. ◂ Your Club Your County Grand Draw is here again!